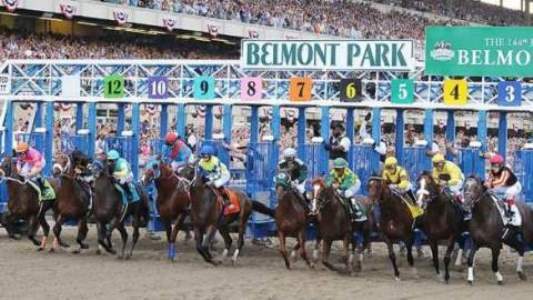 The 2015 Pan American Conference will conclude with the running of the 147th Belmont Stakes. Conference attendees will have the opportunity to be at one of the United States’ premier race courses for one of its most historic races. Registered attendees of the Pan American Conference will view the race in an exclusive hospitality area at Belmont Park. The Belmont Stakes concludes the running of the American Triple Crown for 3-year-olds and has been host to some of the greatest spectacles in racing. Secretariat’s 31-length victory in the 1973 Belmont Stakes established the world record for a mile and a half on dirt at 2:24. With his win in the Belmont, he became the ninth horse to capture the Triple Crown. A crowd of 120,139, the largest in New York Racing history, attended the 2004 running, hoping to see Smarty Jones become Racing’s 12th Triple Crown winner. Birdstone won; Smarty Jones finished second. Twenty-nine horses have been eligible to win the Triple Crown coming into the Belmont Stakes and 11 have succeeded. In seven recent runnings, horses that won the Kentucky Derby and Preakness (Silver Charm in 1997, Real Quiet in 1998, Charismatic in 1999, War Emblem in 2002, Funny Cide in 2003, Smarty Jones in 2004, and California Chrome in 2014) were denied racing immortality in the Belmont Stakes. Racing has not seen a Triple Crown champion since 1978, when Affirmed swept the three-race series. Belmont Stakes Day will be the anchor of a race card featuring some of the most prestigious races in North America and will offer prize money rivaled only by the premier race days throughout the world.